Despite the common belief that Apple computers cannot get infected by any type of malware (malicious software, such as PUPs, adware, spyware, Trojans, etc. ), it’s not completely true. Today, experts speak of the constantly growing number of online attacks targeting Apple devices. As a result, Mac users find themselves in need of a powerful anti-malware tool, which would secure them against possible threats and keep the machine clean from unwelcomed soft. The Web offers a huge variety of anti-virus apps for Macs, and Malwarebytes Anti-Malware is one of them. The developer claims that it is based on the unique anti-malware technology, which lets Malwarebytes effectively scan and then eliminate any kinds of malware. When you first install the app on your Mac, you are offered to use a free 30-days trial of the premium pack. After the one-month term is over, you have either to upgrade to a full premium version which is available under a fee $39.99 per year, or the app rolls back to the free version with the limited functionality (which only includes the feature of on-demand scanning of your Mac, without the real-time protection). This fact (as well as quite a pricey fee) may make many users want to uninstall it. Another possible reason for users to delete Malwarebytes from their computers may be that the app conflicts with the other anti-virus software they have installed. The app leaves many residual elements even after uninstallation. Further, we are going to tell you how to perform a clean uninstall of the app, and how to get rid of all of the leftover files. When it comes to deleting the app from your Mac, you have three options: manual deletion, using the native uninstaller or a third-party app. Deleting Malwarebytes manually is a possible yet not a perfect option. The problem here is that even after its removal, the app leaves many leftover files in different parts of an OS. Finding and deleting them all manually is time-consuming, besides you may easily miss some items, which will keep affecting the work of your Mac. However, you may still try out this method. All you need is to follow our step-by-step instructions given below. In the table that opens next, you will see the ‘Version Information’ for the app. Click ‘OK’ to finish the process of deletion. After you have performed these steps, we recommend you to look for any leftover elements of the app on your Mac. Firstly, check for the app in the Spotlight. Next, open Finder, then go to Applications, and right click on Malwarebytes Anti-Malware app; move it to Trash. If you see the download folder, delete it as well. You need to right-click on every one of these items in their initial folders and send them all to Trash. After, you should empty the Trash and restart your computer. Download the official Malwarebytes v.3.0 uninstaller. The file name of the Malwarebytes uninstaller is Remove_Malwarebytes_Mac_3.0.zip. Locate the file on your Mac. Usually, it will be placed into Downloads folder. Double click on the file Remove_Malwarebytes_Mac_3.0.zip. Click ‘OK’ to uninstall Malwarebytes app from your Mac computer. Finally, search for Malwarebytes in the Spotlight and in the Finder, to confirm that it’s no longer on your device. If the manual removal of Malwarebytes and digital scraps it generously scatters across the hard drive is not exactly your cup of tea, try the third-party cleaner. I intentionally refer to the product I’m about to suggest you as “the third-party cleaner” because there is nothing like MacFly Pro for the task at hand. The app has been created by a team of developers whose obsession with precision made it one-of-a-kind eraser of unwanted data. 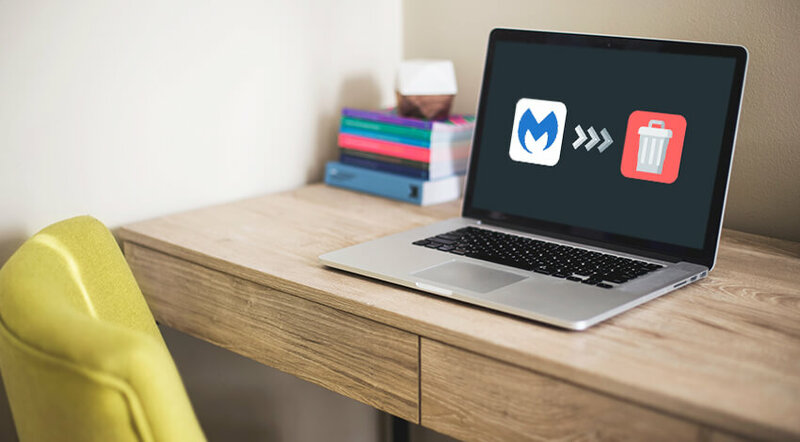 MacFly Pro will help you to find and remove not only Malwarebytes but also software, files, pictures, songs, and virtually anything that consists of ones and zeros. To uninstall Malwarebytes with MacFly Pro, you just have to launch the cleaner and run a quick scan. Then, select Malwarebytes in the list of your hard drive inhabitants and click the Uninstall Selected button. Shazam – and the unneeded antivirus is gone. MacFly Pro works like a charm every time because it is cut from a rare cloth of engineering ingenuity and attention to detail. 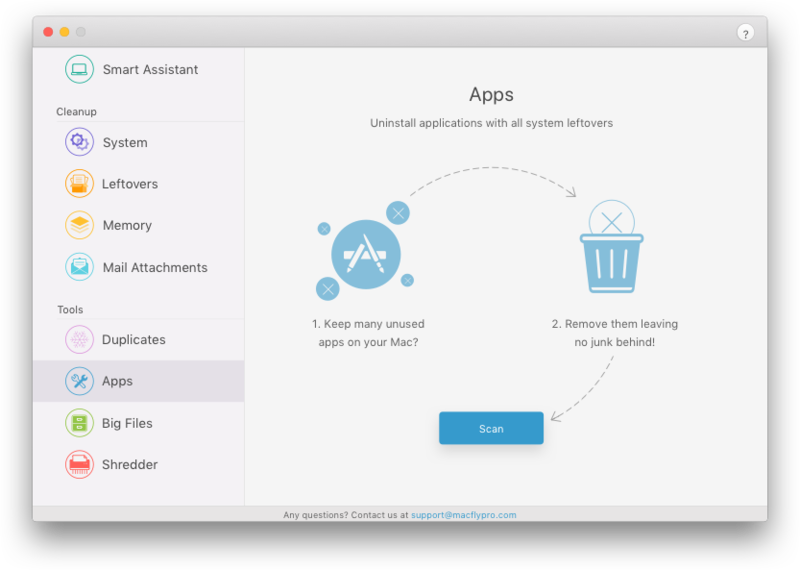 Trust me: you won’t find a better tool for uninstalling apps on your Mac. Therefore, MacFly Pro is the cleaner. 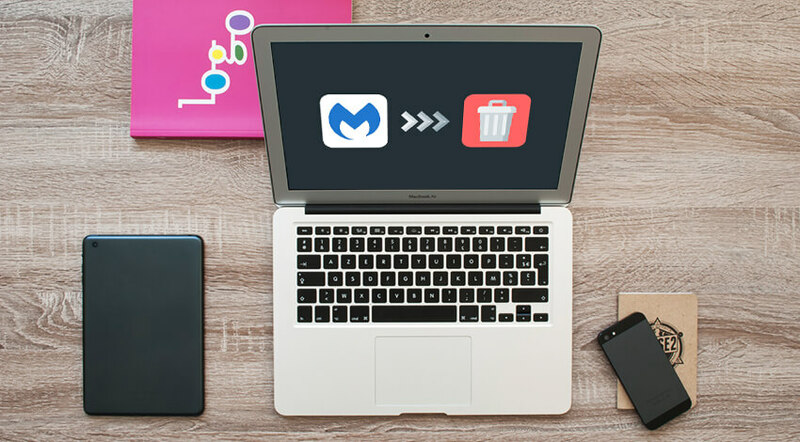 As you can see, deleting Malwarebytes Anti-Malware application for Mac may not be as easy as it may seem. The process of manual deletion is time-consuming and doesn’t secure you from some elements being left on your device. Therefore, we recommend using a third-party app for the version of Malwarebytes v.3.1, and use the official uninstaller utility for Malwarebytes v.3.0. Remember that keeping your Mac’s hard drive clean from the duplicated and unused media files, as well as timely deleting outdated software, is crucial for your device’s efficient and secure work.